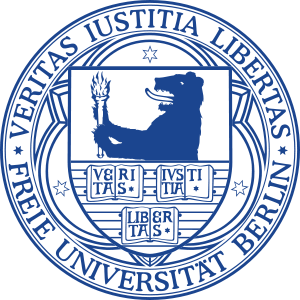 Freie Universität Berlin is offering scholarships for international Students to pursue undergraduate and graduate degree level. The purpose of the scholarship program is to support students with outstanding academic records showing exceptional merit. All undergraduate and graduate students (Bachelor’s and Master’s level) – except doctoral students – of Freie Universität Berlin can submit an application for the Deutschlandstipendium. With only few exceptions, funding is only possible until you reach the end of the standard period of study (Regelstudienzeit) of your major subject. 9 scholarships are available to students from all departments of which one is reserved for students focusing their studies on ageing. Ancient Studies, Classical Archeology or the Master’s program in Egyptology. Students, who raise children expressly invited to apply. Awards, prices, scholarships, work activities and internships. Internships will only be recognized in the selection process if they are voluntary and additional internships that are not included in the curriculum and are not recognized as part of the requirements for your degree and if they total at least 120 hours. Volunteer work, social or political commitment (activities without pay in clubs, churches, social projects, political activities, in school or university committees etc.). Personal conditions and family background (chronic illness, disabilities, taking care of children or other relatives who require care, educational family background, immigrant family background). Fill in and submit (klick ‘send’) the online application form then print it, and sign the page. Submit the complete application by mail (required documents are listed in the next paragraph) until July 31th 2014. Please submit your application without any folders, paper clips etc.